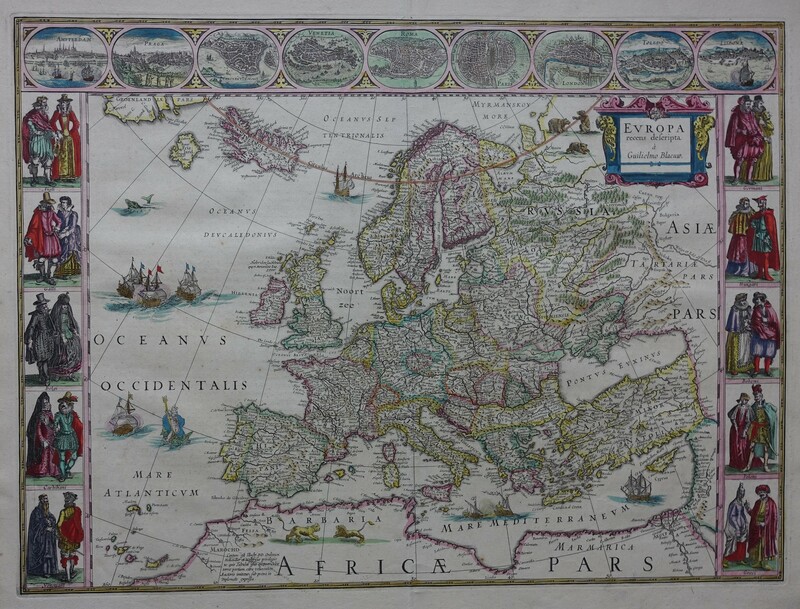 Old, antique map of Europe. Carte-a-Figures. Upper right corner cartouche with title and name of Willem Blaeu. On both sides borders with costumed figures. People from different countries and areas of Europe. Left border, from top to bottom English, French, Dutch, Spanish and Ventian people. Right border, from top to bottom German, Hungarian, Bohemian, Polish and Greek people. The decorative border above the map with nine oval framed European towns: Amsterdam, Prague, Constantinople, Venice, Rome, Paris, London, Toledo and Lisbon. Verso Latin text. Or. 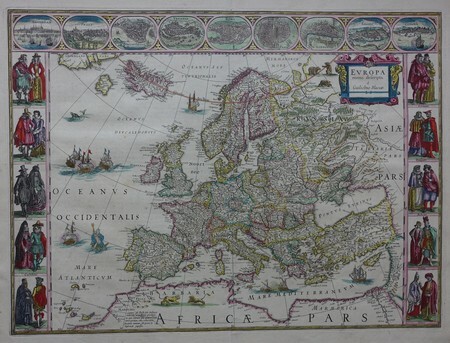 colored copper engraving, published in Amsterdam by Joan Blaeu in 1662 in Atlas Maior, Sive Cosmographia Blaviana (...). Height 41 centimeters; width 55.5 centimeters.